All Stockdale homes currently listed for sale in Stockdale as of 04/22/2019 are shown below. You can change the search criteria at any time by pressing the 'Change Search' button below. If you have any questions or you would like more information about any Stockdale homes for sale or other Stockdale real estate, please contact us and one of our knowledgeable Stockdale REALTORS® would be pleased to assist you. "Come out to the country and enjoy this sprawling 20 acre estate studded with mature trees. 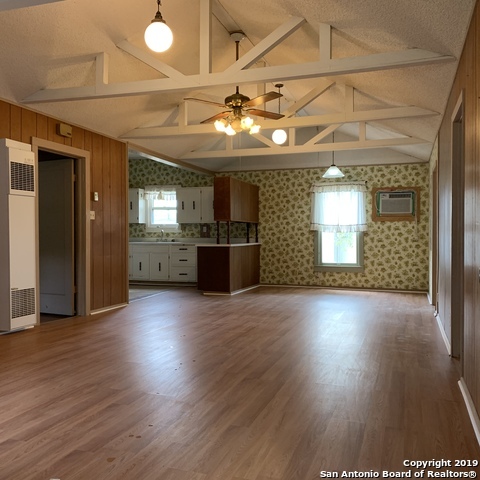 Featuring a newly renovated ranch style house, Main Home: 3 Bedrooms 2 Baths (2810 sqft.) attached by breezeway is an apartment 1 Bedroom, 1.5 Baths (1344 sqft.). Connected to the home is a 3 Car Garage. Property includes a Water Well drilled in April 2018 for landscaping/livestock. Home is supplied by rural water. In the back part of the property is a barn. Home is open floor plan with lots of natural li"
"The peace & quiet of country life awaits you on 10 acres with 2 homes. A custom steel entry with electric gate opens to a 500 foot, winding, tree lined drive. Along the way you will discover a 24x24 workshop with covered RV pad boasting 50amp/water/sewer hookups, storage shed with enclosed dog run, & a well/gardening shed that protects a custom water-filtration system. 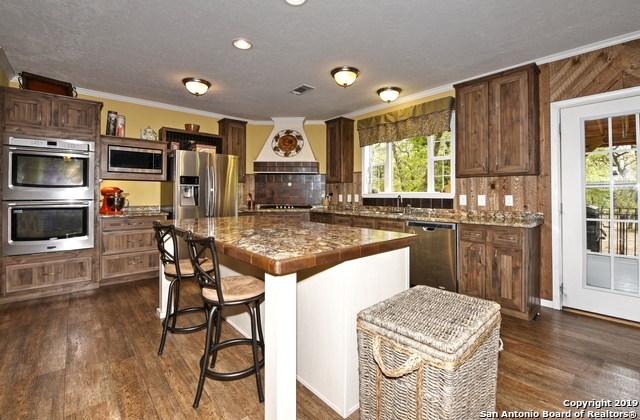 The main home has 2 masters, open living/dining/kitchen area with a huge island, gas cooking, & back covered deck. Too much to l"
"Come home to this! 3 acres with a Main house(1941 SQFT) and a Guest house(1440 SQFT). Privacy fenced in ground pool to relax by. House family or friends in the two story Guest house across the breezeway. With an oversize workshop & garage there is plenty of space for all hobbies. Rear property is wooded and secluded. Beautifully updated and move in ready! All room sizes are approximate." "Beautiful private hilltop 4/3 Rock/masonry home with over-sized workshop. 2 car garage, and asphalted driveway. Sparkling in-ground pool with a slide. Stockdale ISD. City utilities! Large wood burning fireplace. Mature landscaping, great hilltop views! This ranch style home is a beauty, call fast, it will not be available long!" 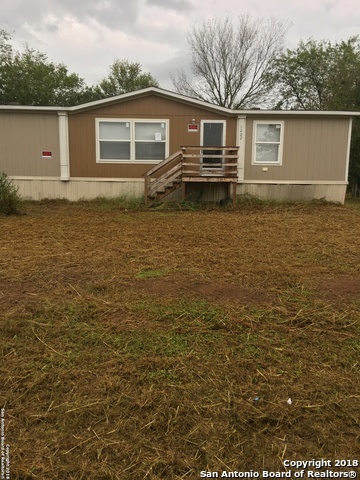 "Horse friendly 15 acres with 3 Horse Stalls and a 3 Bedroom 2 Bath Manufactured Home." "LARGE HOME on CORNER LOT 4 Bedrooms/ 2.5 Baths, 2 Livingrooms...large 620 sq ft enclosed garage converted to living space perfect for an extra bedroom/gameroom or etc. 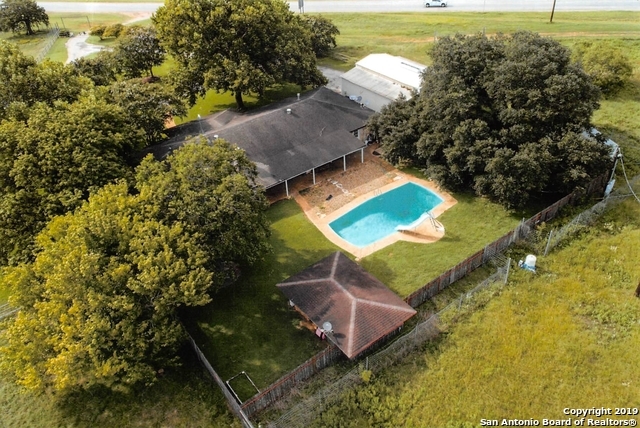 Home sits on a .5052 acre corner lot with mature trees, pipe & ranch fencing, storage building and metal workshop. This place has room for the whole family." "LOOKING FOR PEACEFUL COUNTRY LIVING? Then look no further. 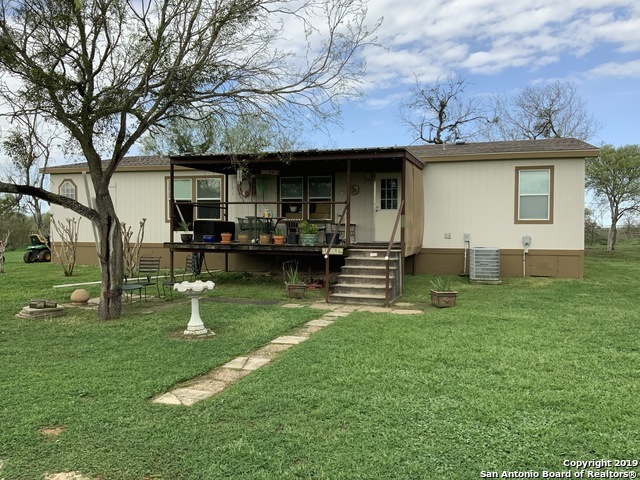 .31 acre property.This home has been COMPLETELY REMODELED from NEW FLOORS, FOUNDATION, HVAC, KITCHEN, GRANITE COUNTER TOPS, NEW BATHROOMS, NEW FLOORS, CEILING FANS, LIGHTING, PLUMBING AND ELECTRICAL, NEW WATER HEATER. Don't miss out, this property will not last. Warranties on many new items listed." "Spectacular location in the heart of Stockdale. This wonderful vintage home boasts wood floors, two full baths, and two large living areas. Numerous updates have been done throughout. Updates include new water heater, laminate flooring in large family room and dining room. Tile floors in wet areas. In addition to the one car garage, a carport and additional pad parking allow for plenty of parking. This home has great commercial potential. Don't let it get away." "Beautiful Property, with plenty of Wild life,Turkey,Deer and wild hogs! With plenty of mature trees." "PROPERTY IS PRICED TO SALE!!! 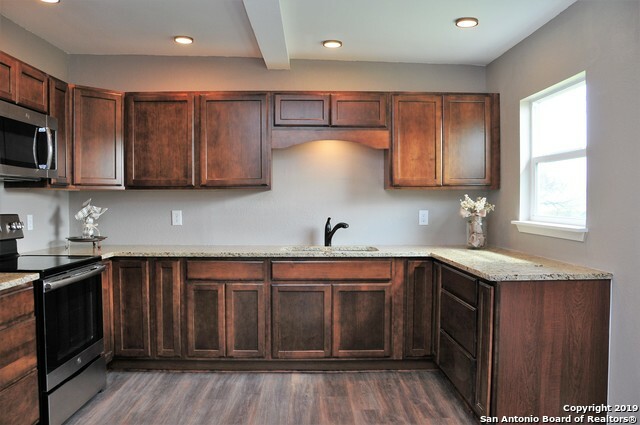 JUST WAITING FOR THE BUYER THAT WANTS EASY ACCESS TO LA VERNIA, FLORESVILLE & SEGUIN!!! HOME FEATURES OPEN FLOOR PLAN!!! Seller to pay buyer closing cost!!!"